hey all, new to this forum and new to owning a mercury. 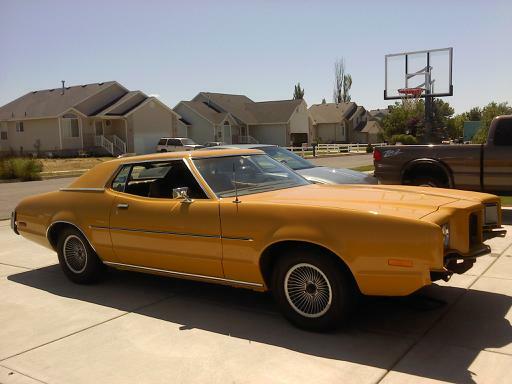 i recently inherited a 1972 Montego MX from a grandfather that passed away. it was his baby and only has 45,000 original miles. had it repainted (original color) because he wore through the paint from waxing it too much. i need to pull the motor out and go through it because it sat for many years without running and it leaks all over the place. it has the original 302 motor in it. well, everything is original. i was wondering if u have any ideas for giving this car a little kick in the pants? it's a little slow. probably because it's so damn heavy, but i'd like to get a little more power out of it. not make it a race car, but make it more fun to drive. since i probably need to pull the motor apart i might as well do it at the same time. maybe a little cam, intake, carb? any suggestions would be awsome since i'm new to this sort of thing. thanks, Ron D.
Keep it original and fix the leaks. May not need a complete rebuild if the oil was changed in its life time on a regular basis. Ford put sleeves in the old motors that were like criptonite. The new cylinder heads are the best performace upgrade if you want to spend money along with headers and maniforld carb.